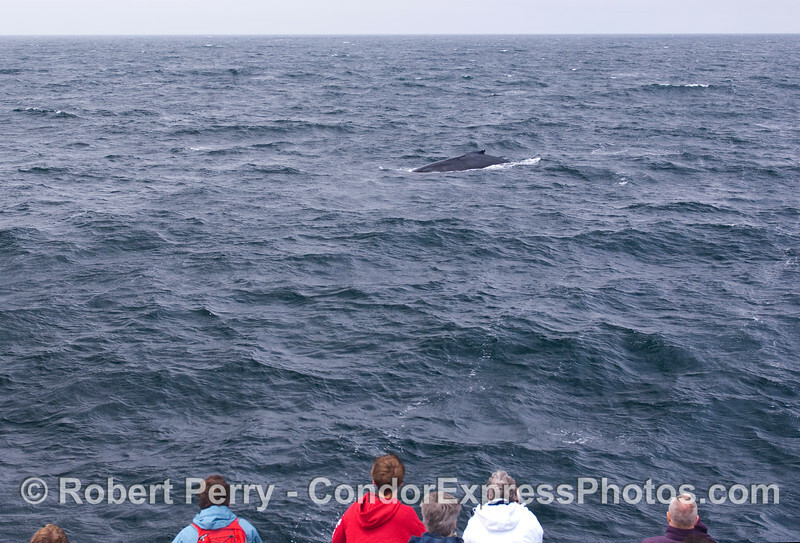 Lots of Humpback Whales (Megaptera novaeangliae) on a windy day. It does not get any better than this. 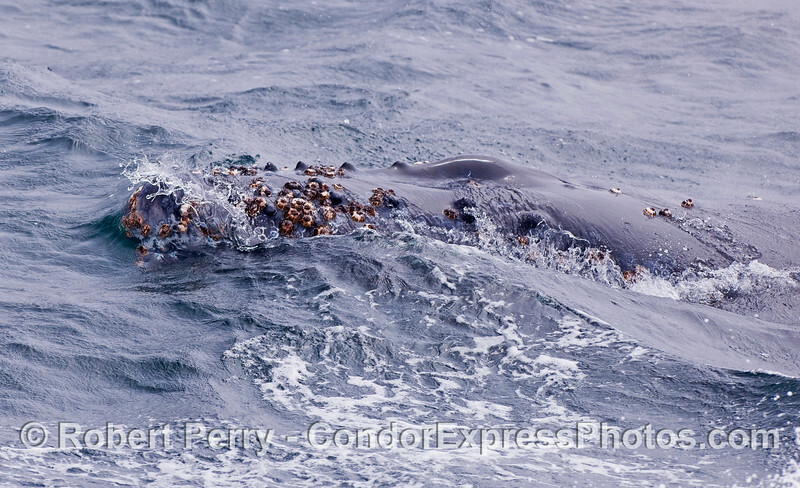 A Humpback Whale, with its mouth open wide, lunge-feeds on krill (Thysanoessa spinifera). 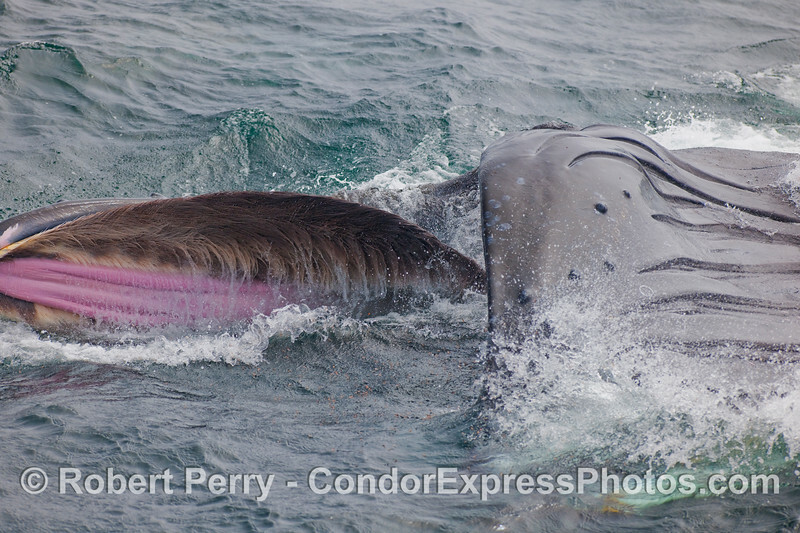 The pink palate inside the upper mouth, and the robust baleen, can clearly be seen. 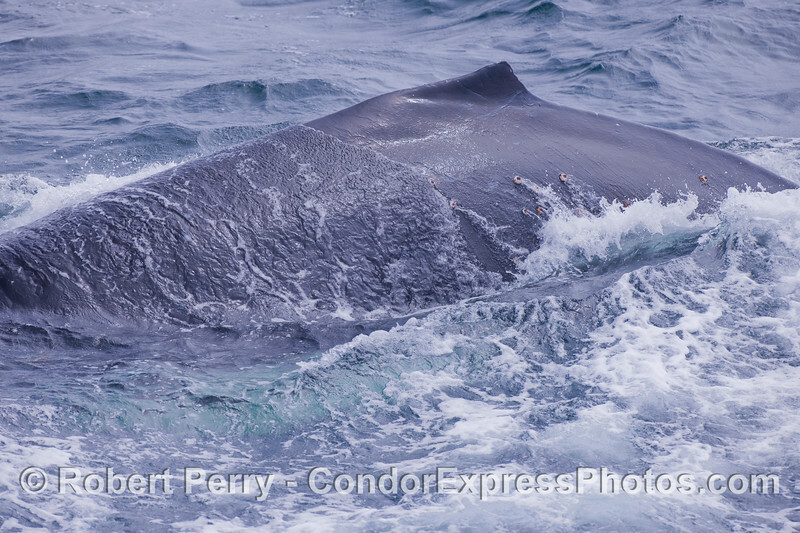 The ventral grooves under the chin are visible, and if you look closely, the little red specks on the water inside the mouth are the prey: krill. This is image 1 of 2, and the second image is #9 below. 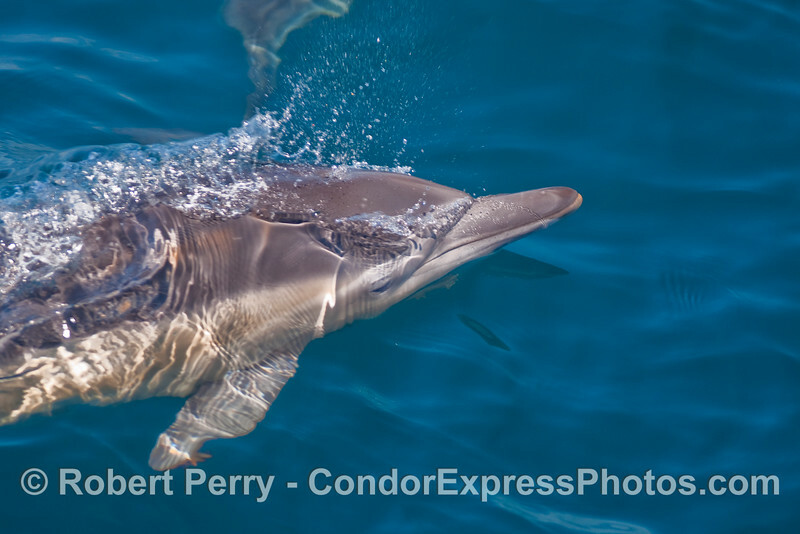 Common Dolphin takes a peak at us. 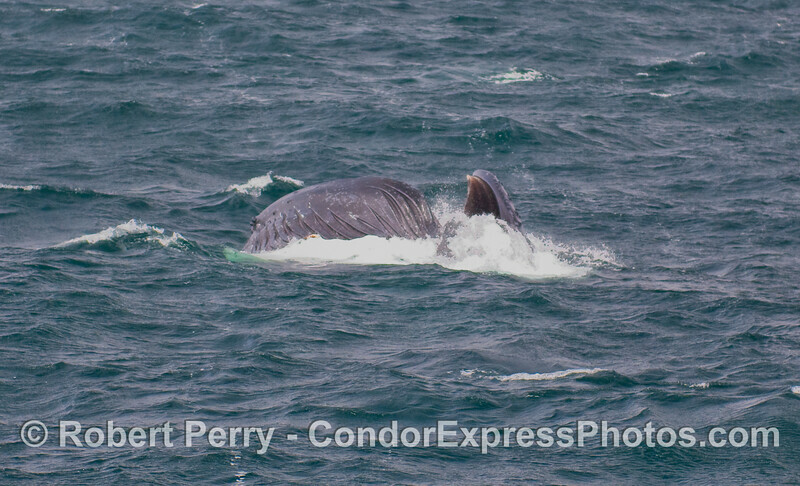 The very thick and beefy tail stock of a Humpback Whale. 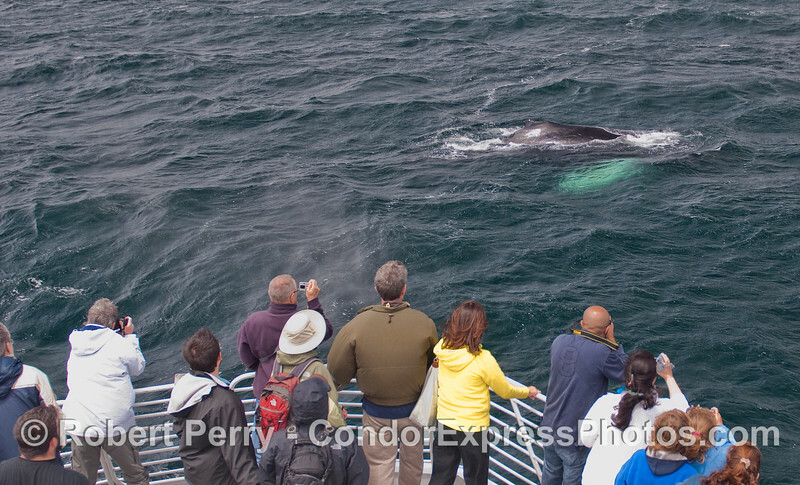 A Humpback Whale comes in for a friendly visit. 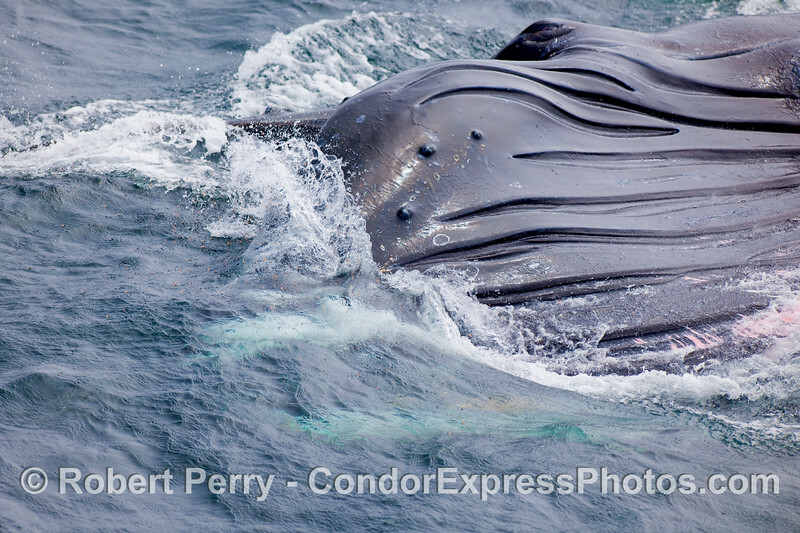 An extreme close up look at a Humpback Whale's rostrum (head). The "hump" of a Humpback Whale. 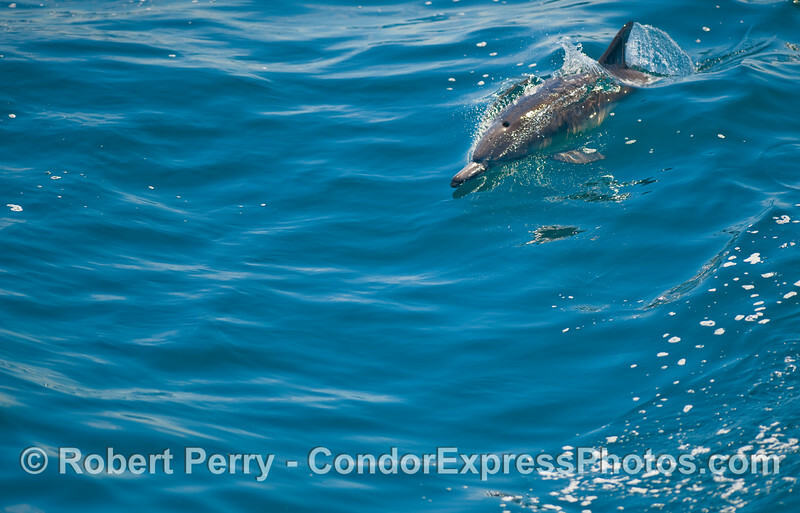 Common Dolphin on a glassy ocean surface. 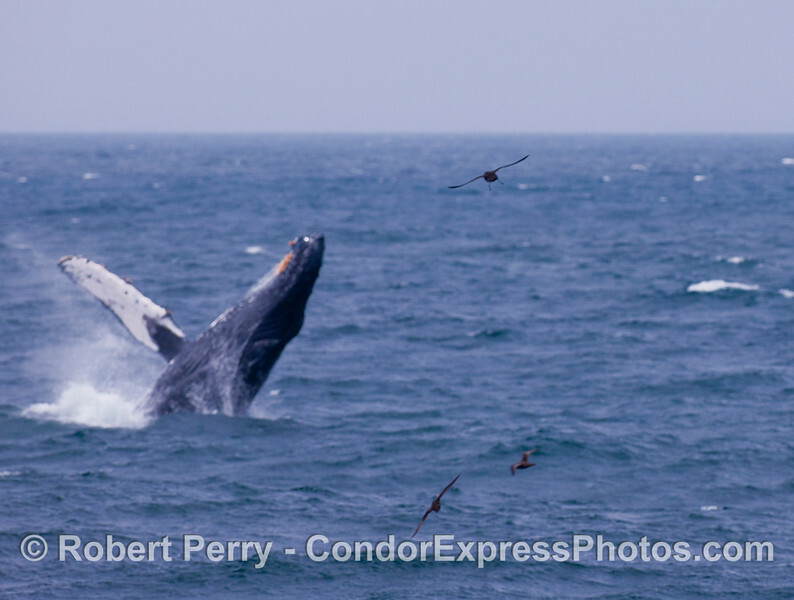 A Humpback Whale kicks up its tail high in the air. 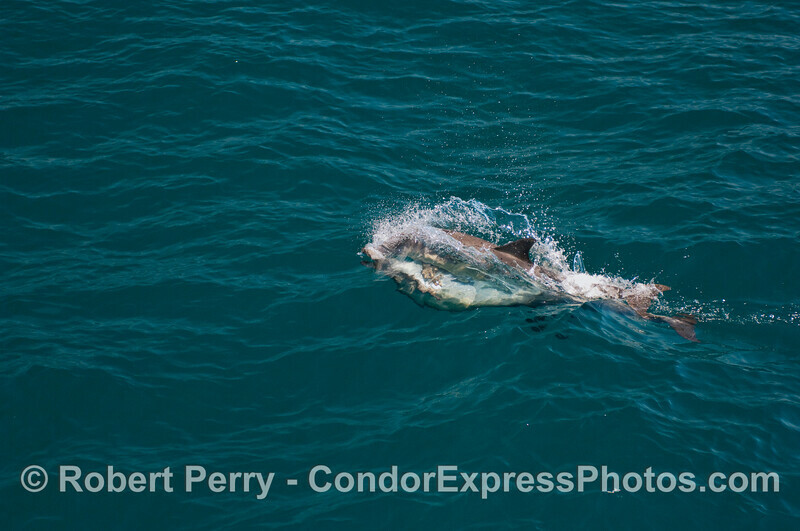 A Common Dolphin takes off on a small, bright blue wave. 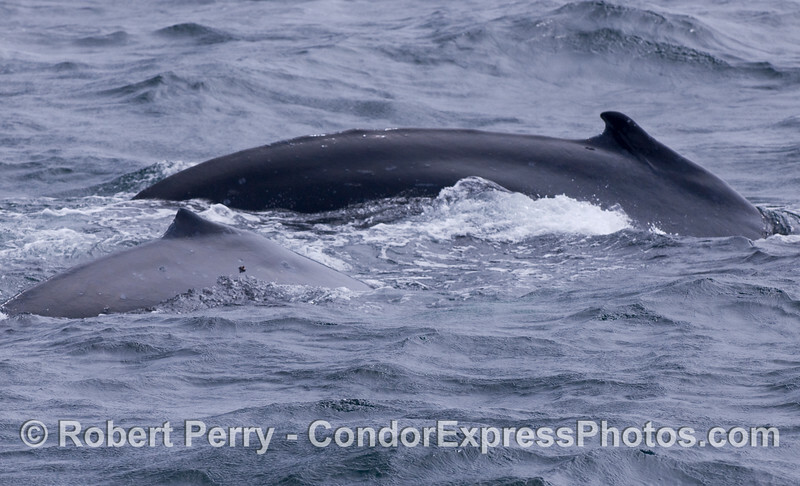 Two Humpback Whales side by side. 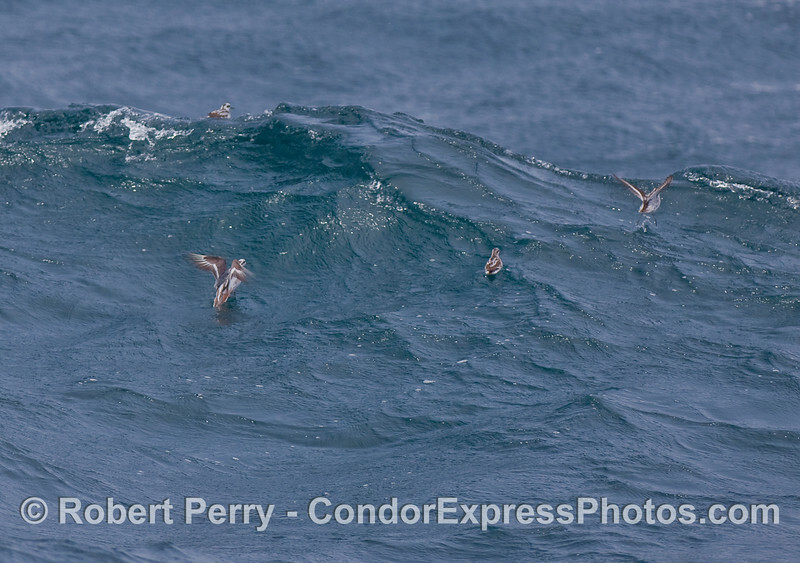 Tiny Red-necked Phalaropes (Phalaropus lobatus) take off as a big wave passes by. These tiny shorebirds frequently fly many miles offshore to feed on zooplankton species such as fish eggs and, in this case, krill. 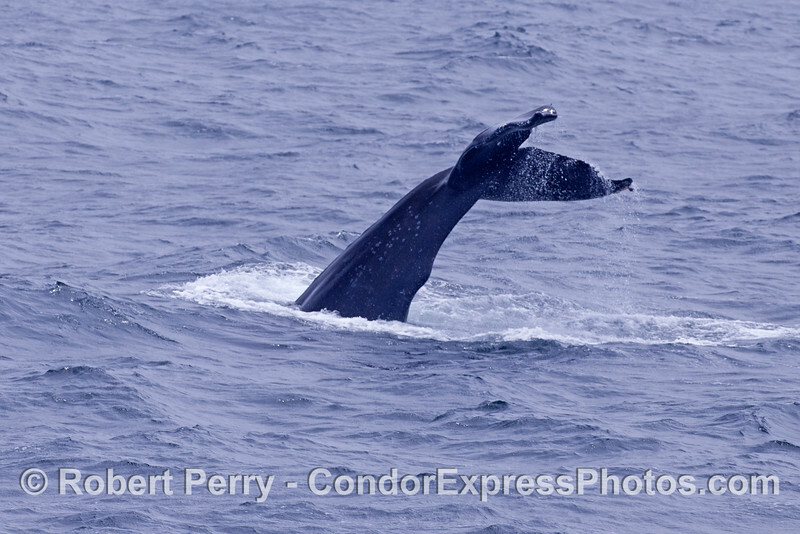 A Humpback Whale rolls around and raises its giant pectoral fin high in the air. 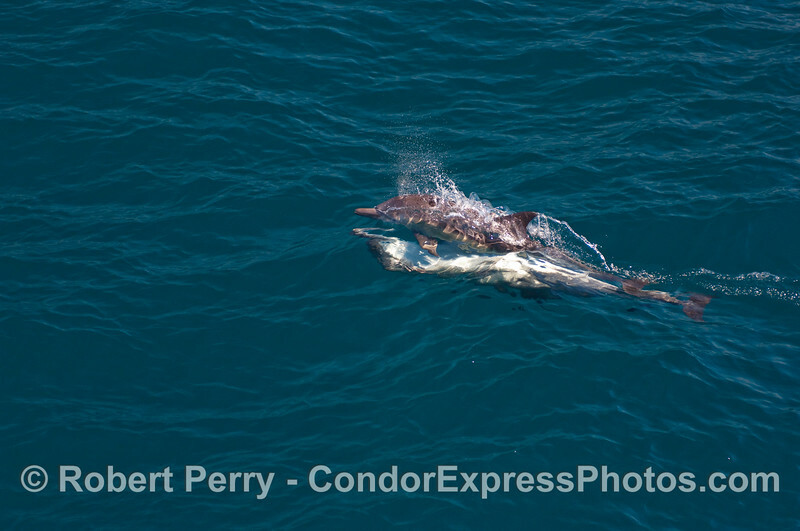 Image 1 of 3: Common Dolphins mating. 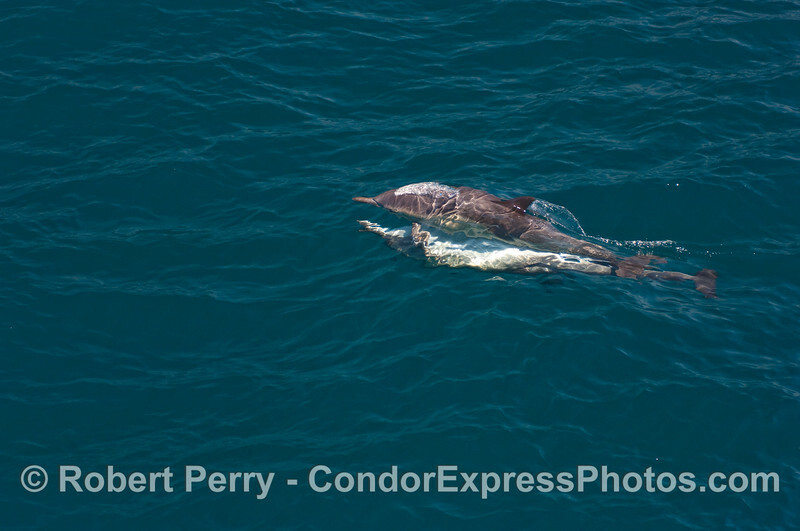 Image 2 of 3: Common Dolphins mating. 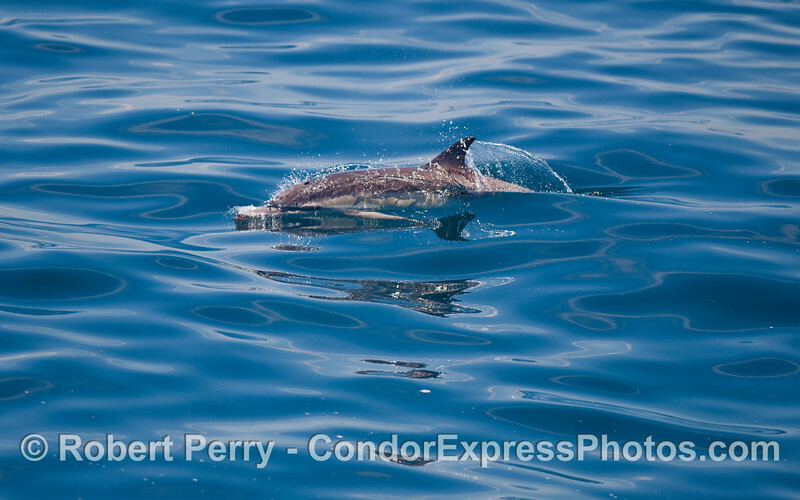 Image 3 of 3: Common Dolphins mating. 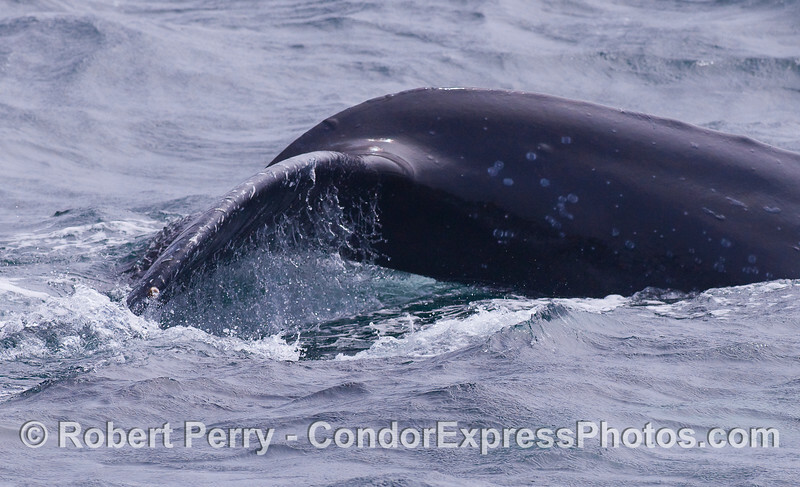 Close up look at a Humpback Whale head. A mighty gulp: a Humpback Whale lunge feeds on krill (Thysanoessa spinifera). 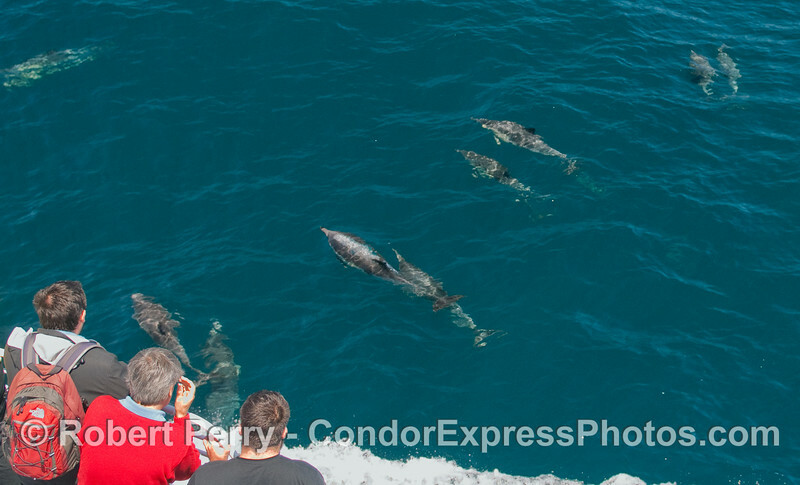 Lots of Common Dolphins visit the whalers on board the Condor Express. 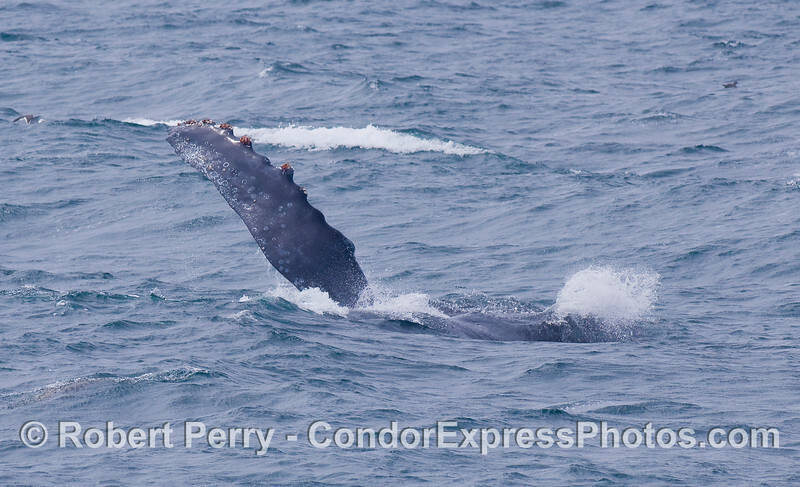 Image 1 of 2: Humpback Whale breach - taking off! 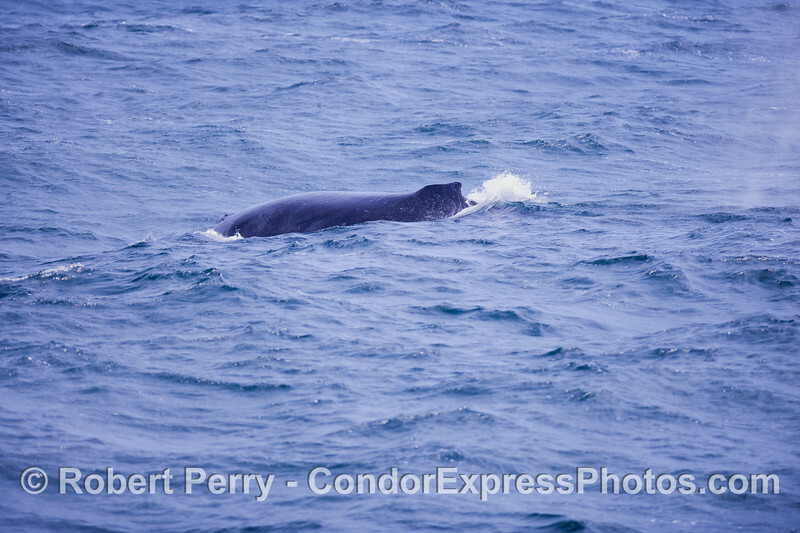 Three Sooty Shearwaters (Puffinus griseus) can be seen, and this whale is a bit out of full sharpness, but was so interesting I decided to post it up anyway. 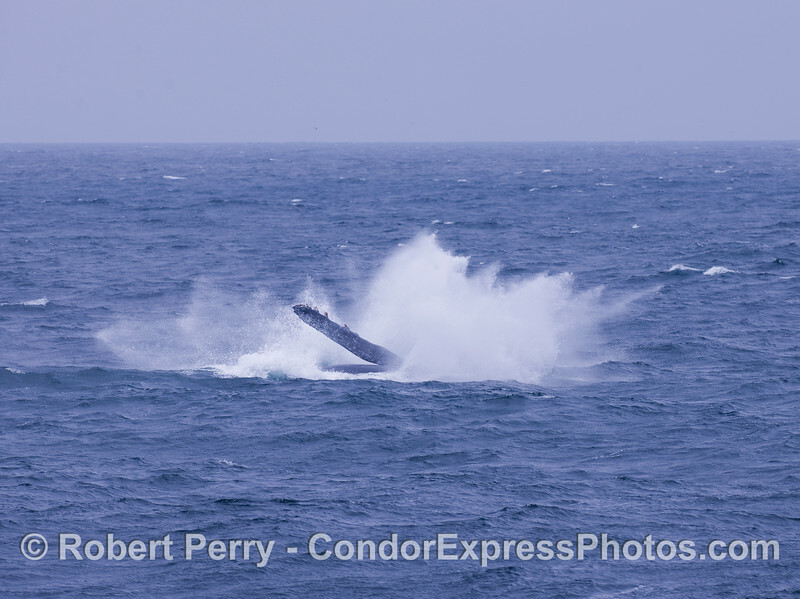 Image 2 of 2: Humpback Whale breach - splashdown! 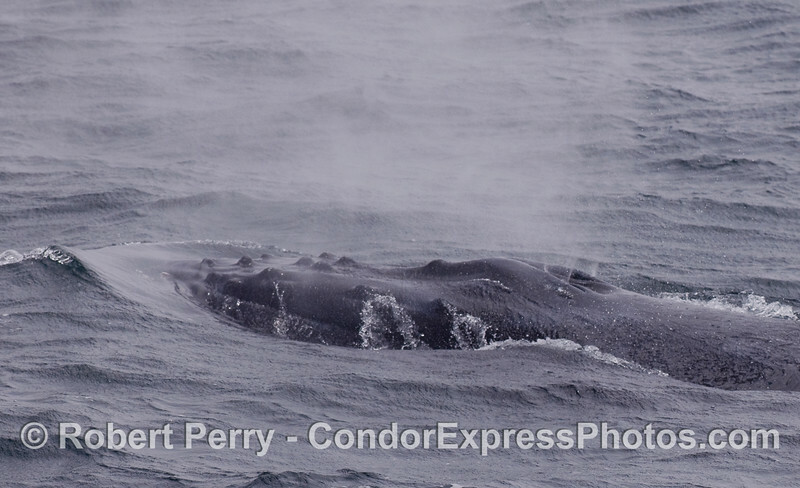 A Humpback Whale rides an open ocean swell. 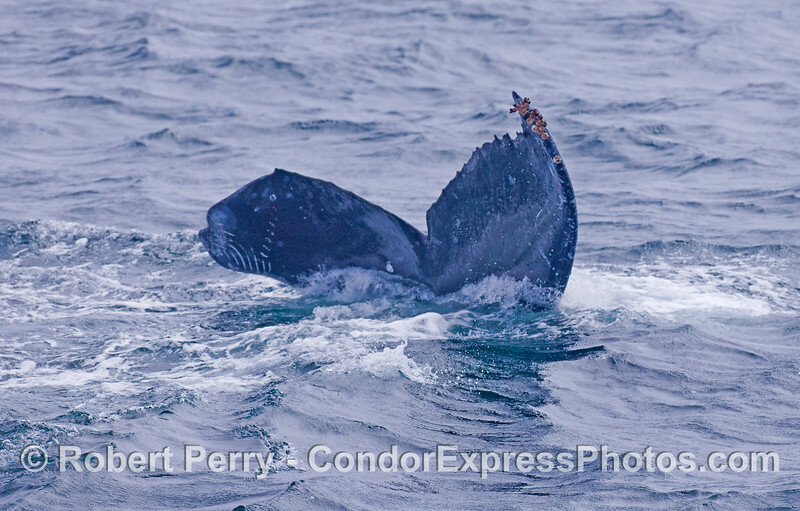 Tail fluke of a Humpback Whale. 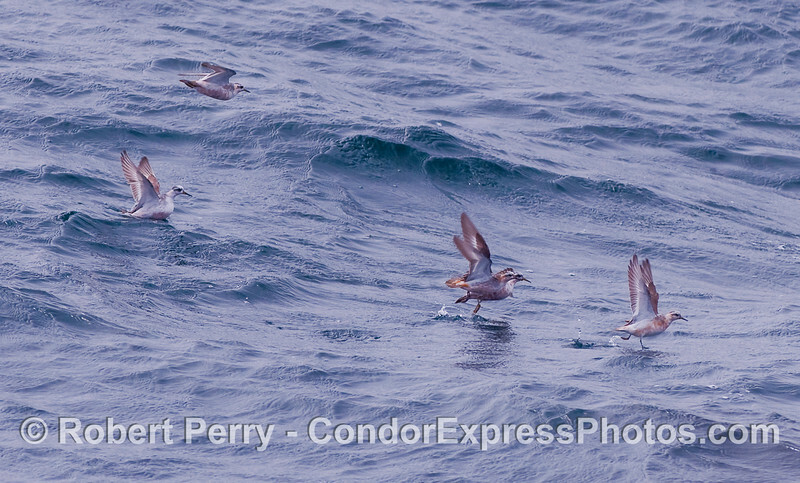 Tiny Red-necked Phalaropes (Phlaropus lobatus) take off.